St. Wilfrid's Church is a community of people committed to proclaiming the love of God to all the people in our parish and beyond. We share worship together in the historic and beautiful Parish Church dedicated to St. Wilfrid of York. On these pages you can find out more about what we get up to and how you can get more involved. I hope you enjoy exploring our site. 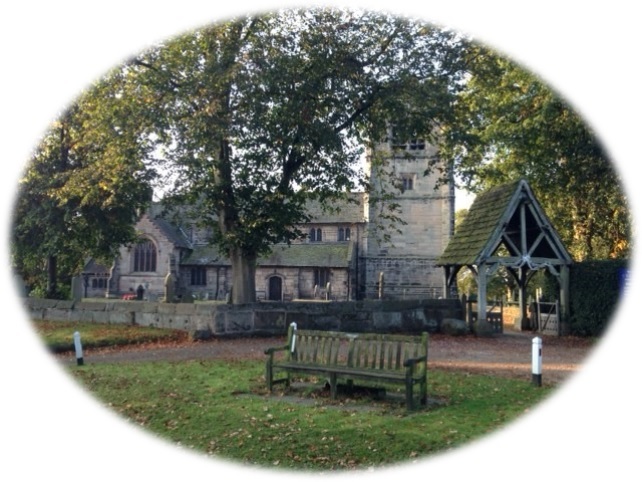 Unfortunately for security reasons the church is normally kept locked during the week however visits, for groups and individuals, can be arranged by contacting the Rector. Contact details can be found by using the 'Contacts' tab above. The Church is open to visitors every Saturday from noon until 4.00 p.m. (weddings permitting) and refreshments are served throughout the day. 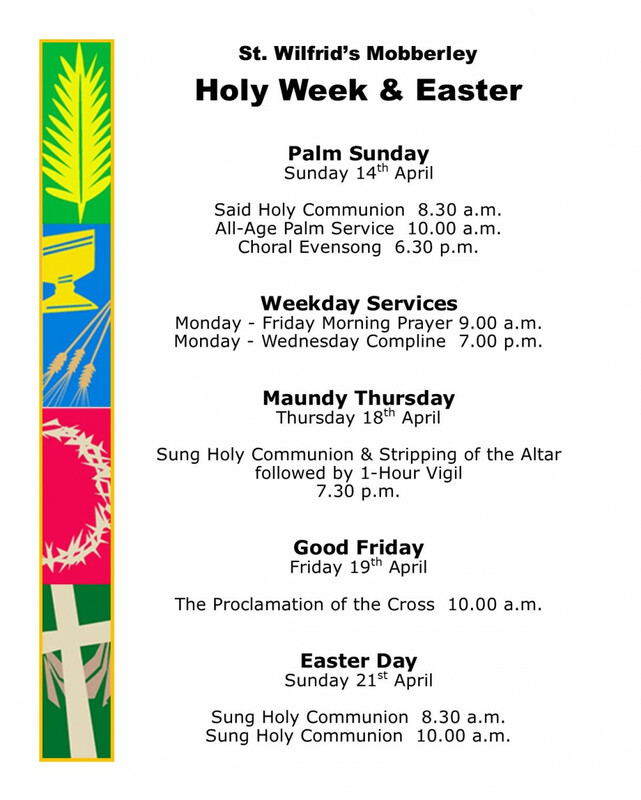 Jois us as we begin our 10.00 a.m. service on the Rectory Lawn where we will be joined by a donkey which will be leading our Palm procession to the church. “St. Wilfrid's Mobberley takes its duty and obligation to protect all extremely seriously. We have adopted the national Church of England's robust procedures and guidelines. You can find out more about the national policies and procedures at www.churchofengland.org/safeguarding. A new way of being Church.